26th November 2018 had been a remarkable day in the life of Isha Hospital, as we launched a new Department of ONCOLOGY under the flagship of very renowned Duo Oncologists – Dr. Niraj Bhatt & Dr. Jigar Patel (HOC – Hemato Oncology Clinic). The event was applauded and graced by many invited dignitaries of Vadodara, Cancer Patients, avid listeners who appreciate good speakers, and the representatives of the Press. Mr. Prahlad Kakkar, fondly known as Ad Guru, a very renowned Ad Film Director from Mumbai, Chairman – India SME Forum, had been specially invited to grace the occasion. He charmed the audience with his wit & wisdom, where he talked about importance of Diet and Lifestyle in curbing the advancement of the Cancer. Dr. Niraj Bhatt addressed the audience , with his motto of extending services to reach out to the needy, emphasized on the need to spread awareness about CANCER, as he firmly believes that there is significant lack of awareness among the people – early the stage detected, better is the outcome. He wish to propagate the focus on preventive oncology, and would be coming up with Relevant awareness programs in the coming future. We extend our heartfelt thanks to all the people present on this day. 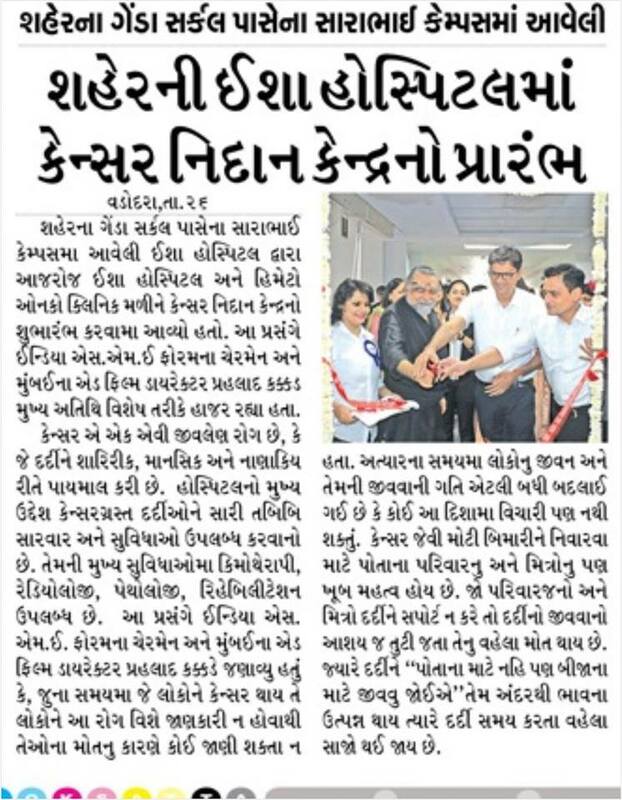 Special thanks to Mr. Nilesh Shukla and his team, who made this event a great success.